Last month, screen legend Robert Redford said he was finished with acting, and planned to focus on directing in his golden years. But in an interview published recently, Redford says he may have spoken too soon. “That was a mistake. I should never have said that,” the 82-year-old actor told the entertainment publication Variety late Thursday at the New York premiere of his latest film, ‘The Old Man and the Gun’. “If I’m going to retire, I should just slip quietly away from acting, but I shouldn’t be talking about it because I think it draws too much attention in the wrong way. I want to be focused on this film and the cast,” he said. So, what does the future hold? Is ‘Old Man’ his last movie or not? In the August interview, Redford said that he would “move toward retirement” after ‘Old Man’ because he’s been in the acting business for more than 60 years. “I thought, well, that’s enough. And why not go out with something that’s very upbeat and positive?” he told Entertainment Weekly. 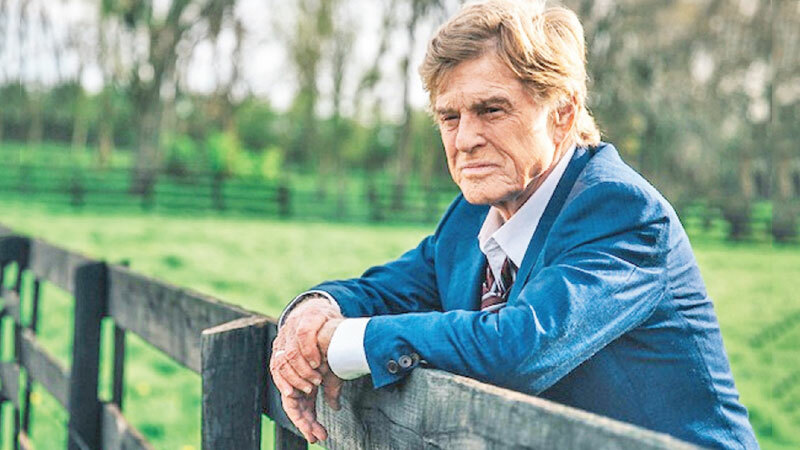 Director David Lowery told Esquire magazine that Redford had mentioned during the filming of ‘The Old Man and the Gun’ that it would be his last film as an actor. The film, set for release in the United States on September 28, sees Redford play Forrest Tucker, the real-life bank robber whose criminal career and multiple escapes from prison spanned more than 60 years. Redford is an Oscar winner, but not for acting: he won in 1981 for best director for ‘Ordinary People’.